You don't need to purchase a physical license. No physical Copy or DVD box included, What you buy is just the Product Key because that's all You needs! Instant Delivery: License Key will be sent via email within 1-12hrs. If you haven't received the Key for hours, please check the Spam or Junk mail folder. All Languages Support: German, English, French, Spanish, Czech, Danish, Netherlands, Hungary, Japanese, Croatian, Polish, Portuguese, Russian, Swedish, Chinese, Bulgarian, Finland, Norwegian, Greek, Korean, Turkish, Ukrainian, Thai, Italian, PT-BR, Arabic, Romanian, etc. How to check activation status in Windows 8.1? Select the Windows Start menu, then select Settings > Update & security > Activation. 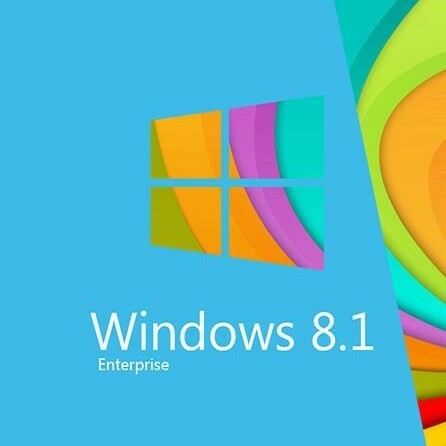 Microsoft Windows 8.1 is an upgrade for Windows 8, it brings literally hundreds of updates, fixes, and tweaks for both home and business users. Windows 8.1 Full Version 32/64-bit Edition is designed for easy use on a device with a touchscreen. You can also split your Modern UI screen between up to four apps. With Windows 8.1 64-bit, users can easily move and resize tiles, create and name groups of tiles, change the background image, and pin freshly installed apps on the Start menu. The most incredible thing is that Windows 8.1 Upgrade to Windows 10 for Free! Start Button: Users have the option to personalize the Start screen with their favorite news, friends and apps. Boot to Desktop: Allows you to boot directly to the Desktop view of the system rather than the Start Screen. Search Heroes: Bing is now integrated into search, so you see web results along with apps and files. Multi-Window Mode: With snap views so you can see more than two apps on your screen and resize those apps, also allowing users to run apps side-by-side on a single screen. Improved Windows Store: The new Windows Store UI is cleaner and has larger images of the apps. With lists of top free apps, new apps and top picks right on its homepage, so you don't have to dig. SkyDrive Saving: Files will be saved directly to SkyDrive, and you can access them even when you're offline. 3D printing support: Windows 8.1 now has a 3D printing API, allowing you to print directly to 3D printers from the Charms bar. Refreshed Xbox Music: The Xbox Radio Music app allows you to create new radio stations centered on your music collection.